Located in Gebze, Ramada Plaza Istanbul Asia Airport is within a 15-minute drive of Viaport Outlet Shopping and Faruk Yalcin Zoo and Botanical Park. Featured amenities include a business center, express check-in, and express check-out. 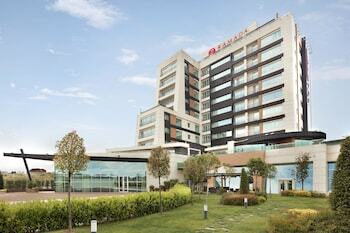 Planning an event in Gebze? This hotel has 13063 square feet (1214 square meters) of space consisting of conference space and meeting rooms.